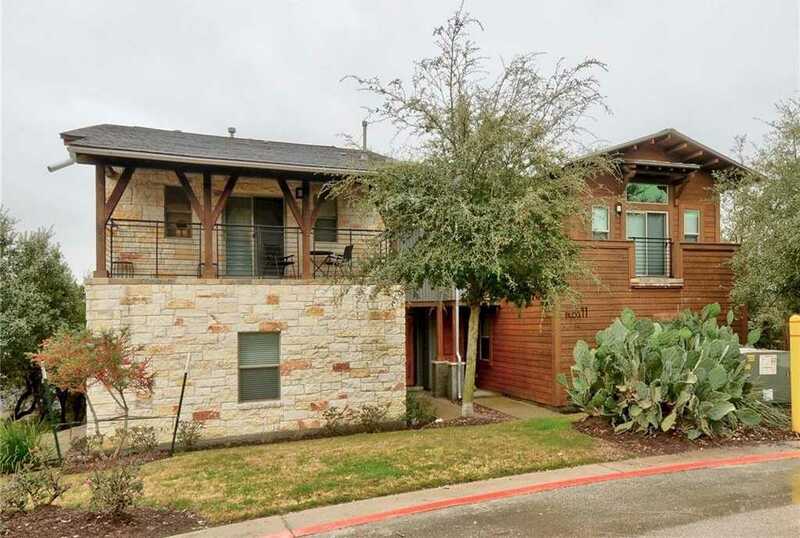 City and hill country views from modern condo in great gated community. Main level features 10′ ceilings, wood floors and French doors out to lovely deck. Kitchen with Bosch appliances and open to living area. Upstairs are 14′ vaulted ceilings, second living or study area and doors out to deck with city views. Great storage areas in this condo. Community pool, hot tub, outdoor fireplace and grill. Close to downtown, Arboretum & Domain.